Starting this Sunday, News of the World’s Fabulous magazine will be bringing a little sunshine to what is turning out to be a rained off Summer! 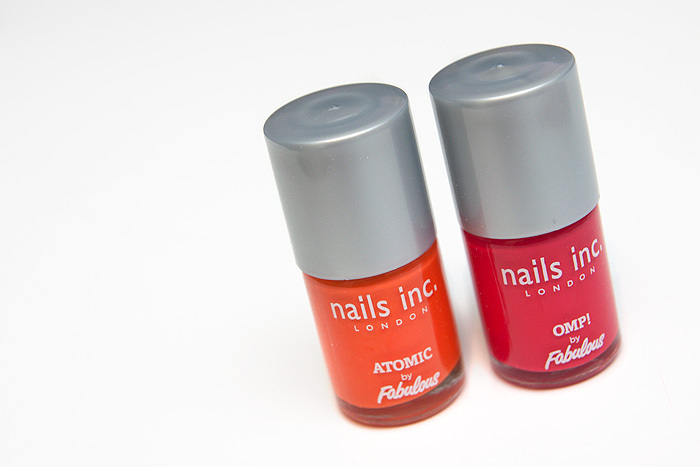 Cut out and keep three differently numbered tokens over the next four weeks starting this Sunday from inside your NOTW’s Fabulous Magazine to get your mitts on this vibrant duo from Nails Inc.
Atomic and OMP! (that’s Oh My Pink!) 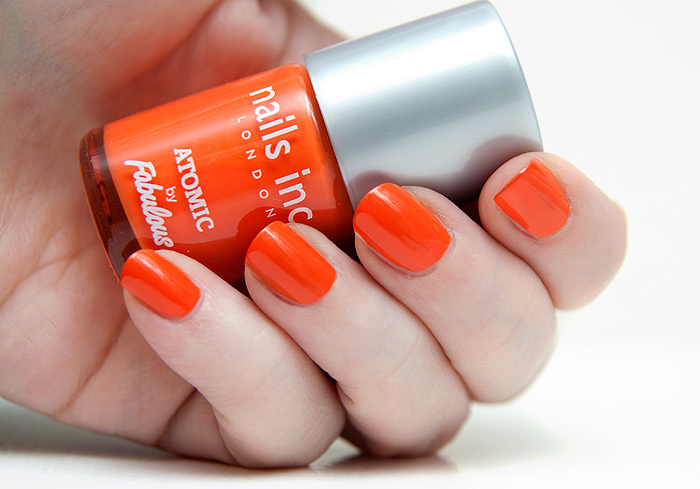 are a pair of vibrant Summer-loving shades, guaranteed to bring out the sunglasses! Once you’ve collected your three tokens, simply take them along to any participating Tesco Extra or Tesco supermarket to claim your freebie nail polish duo anytime between July 3-11. Will you be collecting your first coupon this Sunday? Those are fab summer colours! Yeah, the pink is a true raspberry pink, really looks nice on! Even better then, super duper freebie! It looks as if they have used cheaper material to produce the lids…. I wonder if the polish inside is the same consistency that you get if you pay the standard £11 a pop?! Hi Lauren, lids are matte plastic rather than polished plastic. Formulation is consistent with all other Nails Inc. “freebies” – gloopier than normal but VERY quick drying, I guess this is to please the masses who don’t own fast dry top coats! Luckily neither of these are very me, not that I could bring myself to buy the NOTW anyway! It would be good to know what stores are participating. TESCOS/NOTW if you are reading this please print a list!!!!! Wow another one, I have so many Nails inc polishes and have only ever paid for 1 the latest one I got was in boots on Wednesday and it was buy 2 deodorants and get a free nails inc, there were 2 colour and I got both. They give them away so often (diet coke, magazines and the like) I think I will be giving this one a miss. I know! The point is often raised questioning why you’d ever pay full price when the brand give ’em away so often! I forgot! Bummer, those colours look so fun.